Vandy Vape Superfine MTL Fused Clapton Wire is designed for mouth to lung atomizers. Ni80 material with one 38ga wire wraped around 2x30ga wires. Comes in a 10ft spool and has a resistance of 3.5Ohms per foot. Same material and the same configuration as pre-made coils included in the Berserker MTL RTA package. 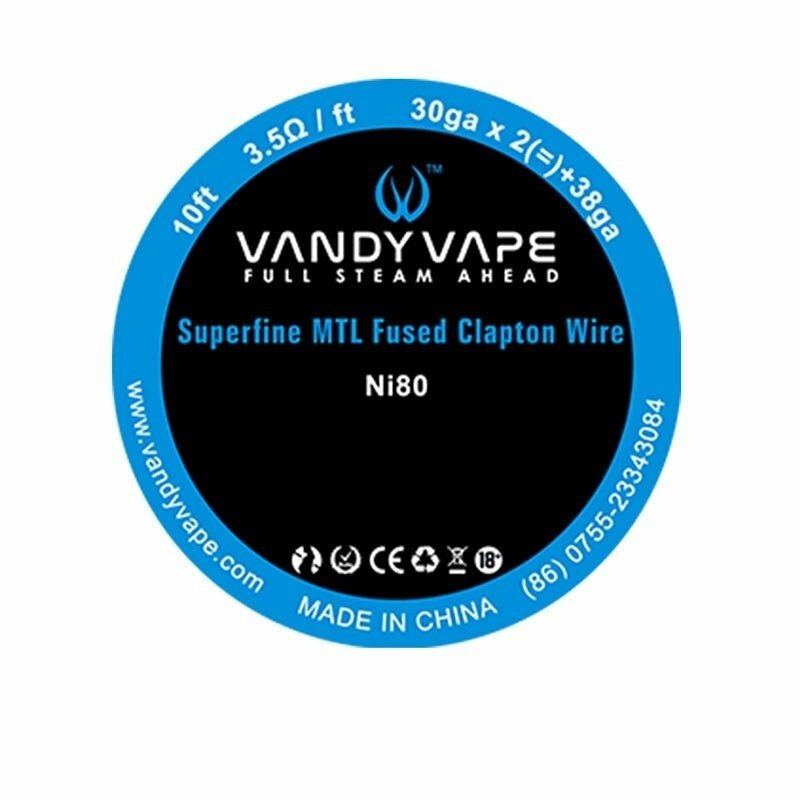 Vandy Vape presents 10 foot spools of pre-made specialty wire including: Fused Clapton in Ni80. Fantastic wire. Was my first time building fused clapton, but Phil provided great direction and after a few tries got it. Oh my, what flavour! For any MTL lovers out there, you must try this wire. It’s worth the extra effort.